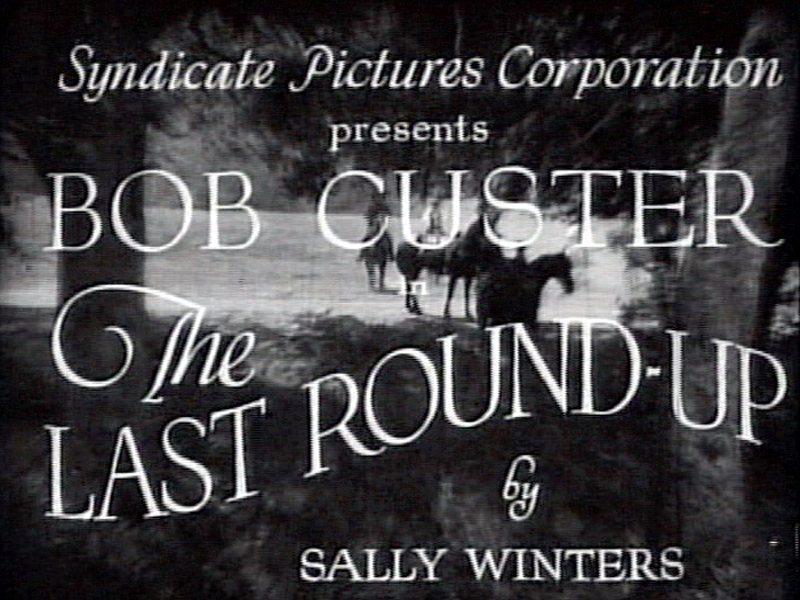 Title slate for "The Last Roundup" (G.A. Durlam Productions/Syndicate Pictures, 1929), filmed primarily in Pico Canyon (Mentryville). Produced by George Arthur "G.A." Durlam, directed by J.P. McGowan, written by Sally Winters, distributed by Trem Carr and Ray Johnston's Syndicate Pictures (two years before Carr and Johnston formed the original Monogram Pictures Corp.). This is one of 30 films McGowan and Winters worked on together from September 1928 to October 1930. Players include Bob Custer, Hazel Mills, Bud Osborne, Hank Bell, Adabelle Driver, McGowan, Cliff Lyons, Tom Bay and Arden Ellis.